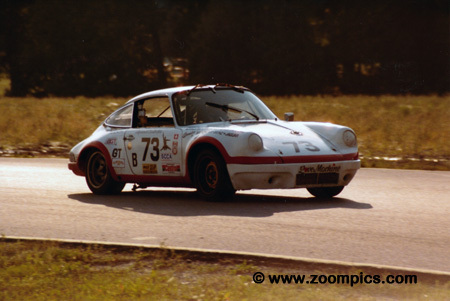 Originating in 1977 the Molyslip Endurance Series ran until 1983. 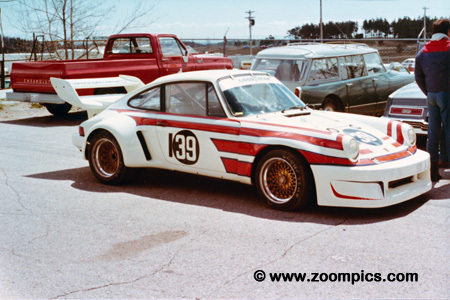 The 1981 championship consisted of six-rounds of events taking place at Edmonton International Speedway (Alberta), Gimli Motorsport Park (Manitoba), Atlantic Motorsport Park (Nova Scotia), Mosport (Ontario) and two rounds at Sanair (Quebec). Series sponsor Molyslip had to be very proud as it was Canada's only national road racing series. 1981 had also seen an increased car count with a number of teams competing in all six events. 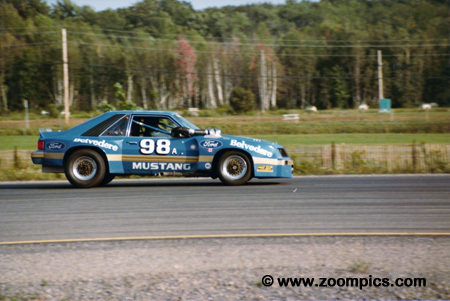 1981 saw the return of Ford's Canadian division to motorsport with the involvement of a Ford Mustang driven by road racing veterans Tom Jones and Claude Gou. Their return could not have gone any better as they won the Sanair opener. This was all the more impressive as Gou had crashed the car during a test day before the event and the team was forced to "pull an all-nighter". Series favourites Jacques Bienvenue and Marc Dancose driving a Porsche 911SC suffered a clutch failure in the opening round. But after this initial setback they were on a roll - winning the Edmonton, Gimli, Atlantic Motorsport Park and the second Sanair event. 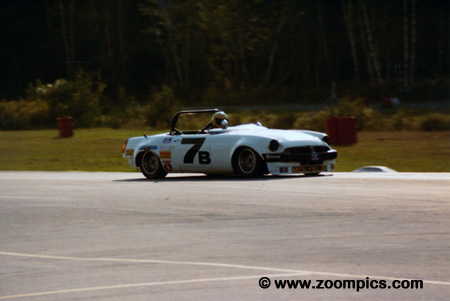 In the final race at Mosport, the duo finished second to 1980 champion - David Deacon - and easily clinched the Class A title. 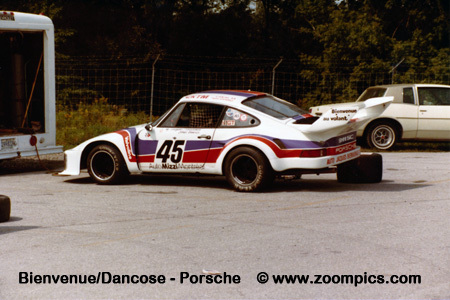 During 1981 Jean-Michel Centeno shared the driving duties of this Porsche 911 RSR with Ranier Brezinka and Gary Hirsch. Centeno had five podium finishes and was leading during the final 30-minutes of the opening round but a lengthy pit-stop dropped the team to second. He finished second to Bienvenue and Dancose in the championship. 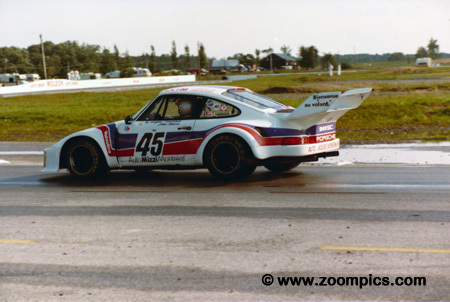 Driving a Porsche 911 Uli Bieri competed regularly in Ontario Region races. His first race in the Molyslip Endurance series was with Jean-Pierre Zingg at the second Sanair event. This pairing finished seventh overall and third in the B-class. Bieri would share the 1983 title with Matt Gyster in the former David Deacon BMW M1. 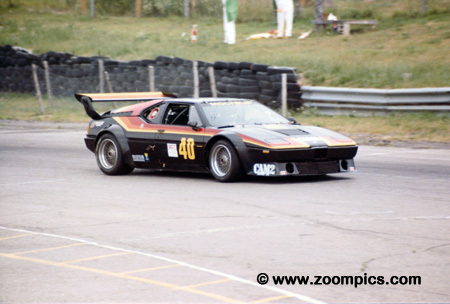 The 1980 champion, David Deacon, had moved on to the IMSA series in 1981 driving a BMW M1. He made an appearance in the final 1-hour round at Mosport with Can Am competitor Mike Freberg. The pair completed 39-laps - lapping second place finishers - Bienvenue and Dancose. 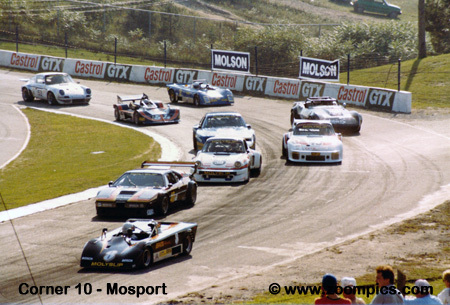 The cars line-up through Mosport's corner-10 for the final round of the 1981 season. The Deacon and Freberg BMW M1 captured the pole by 5-seconds. Starting second was the Sports 2000 Lola T-492 of Bill O'Connor and Stuart Moore. Behind the front row were series regulars of Centeno/Hirsch, Bienvenue/Dancose and Jones/Gou. 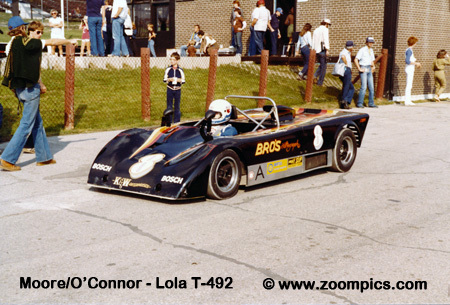 Americans Bill O'Connor and Stuart Moore qualified second at Mosport and finished third in O'Connor's Lola. This was not their first visit to Mosport. Much of Moore's early career was spent at Mosport competing in the Bulova Formula Ford series he then moved on to the Super Vee championship. O'Connor was a former competitor in the Canadian Formula Atlantic championship. 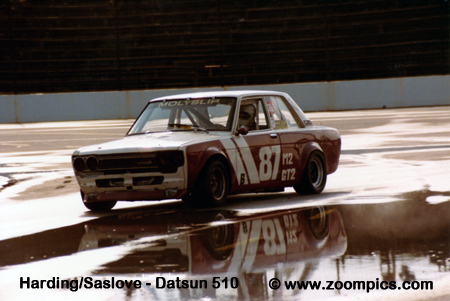 The Datsun 510 of Rory Harding and Jay Saslove was one of the twenty-two Class B cars entered in the second Sanair race. They finished thirteenth overall and eighth in class. 1981 would be the last year for the Sports Racers. Organizers had previously encouraged this type of car to enter the series. Some of these cars were purpose-built sports racers such as Sports 2000 while many of the entries were converted Formula Atlantics or Formula Fords. 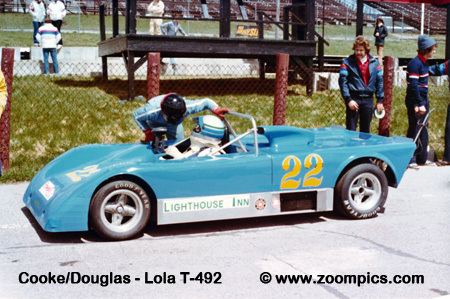 This Lola T-492 was driven by Jim Cooke and Terry Douglas. In 1981, the MGB of Steve Lechnowsky and Andrew Fesar was very quick but unreliable. By 1982, they were consistently finishing races and they won the Class B championship.